Star Builders, LLC is a general contractor near Dallas, Oregon that helps you organize, plan, and efficiently execute your remodeling dreams. We understand that the remodel brainstorming process can be overwhelming! So where does the organizing begin? First, write down those ideas! Maybe yours generated from an incident – one too many cabinet doors with broken hinges, flooring that’s started to fade and warp, not enough storage, too-narrow hallways, or an overused kitchen countertop. Or maybe, as it does so often these days, inspiration came from social media — photos of a friend’s gorgeous new kitchen upgrade that featured brilliant granite countertops, pristine hardwood floors, calming color schemes, tons of smart storage space, and just-right modern lighting. Whatever your inspiration, it’s easy to see why home is where the heart is, and it deserves special attention. Star Builders takes your ideas and implements them, transforming your home into a more inviting and useful space overall. Working with Star Builders means you have someone to count on for your home upgrades in the future, so delivering a great product is our top priority. We want you to be excited and adequately-prepared for your remodeling project, not worried about it. Additions and remodels can raise property value by nearly 75 percent of the project cost! Whether you’re selling or settling, we help you get the most from your home. What Does Star Builders Do? From upgrading a few features to make a bathroom more accessible to building entire facilities from the ground up, Star Builders’ professional services are wide-ranging. Your remodeling project can range from just a few updated windows and new flooring to complete demolition and rebuilding of your primary living spaces. It’s entirely up to you. But we’re here to help you refine the details, answer the right questions, and envision the process before diving in. There isn’t much we can’t do, and we love helping Dallas, OR residents make their homes or facilities more useful for the long term. Owner, Jason Robertson has a long, proud history of working with accessibility issues in new construction and remodels. After remodeling a bed and bath for someone who had suffered a stroke, he was inspired to launch Star Builders’ Accessibility Remodels Program. We understand that many homes are built under the assumption that its occupants have complete, unfettered mobility. But as we age, small doorways, stairs, tight corners, and swinging doors start to become a hindrance. There’s no need to live in a home that’s working against you. Talk to us about assessing your home’s safety issues, traffic patterns, and barriers. Sometimes all a living space needs is a bit more square footage, and an expansion is an inexpensive way to achieve that. We can help you identify the most feasible areas to extend, remove walls, or combine with other rooms. You’ll be impressed by how a little extra space can make a dramatic difference in how your home feels. 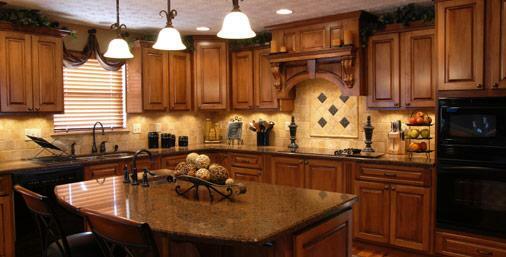 As the gathering place in most homes, the look and functionality of a kitchen is very important. And with as many functions a bathroom serves in terms of hygiene and privacy, your bathroom should leave nothing to be desired. Your project manager will work with you to narrow down which features you’d like to keep, and which you’d like to change. There’s a lot to consider! So, it’s nice to have a pro help you through some of the more complex areas of kitchen and bath remodeling. 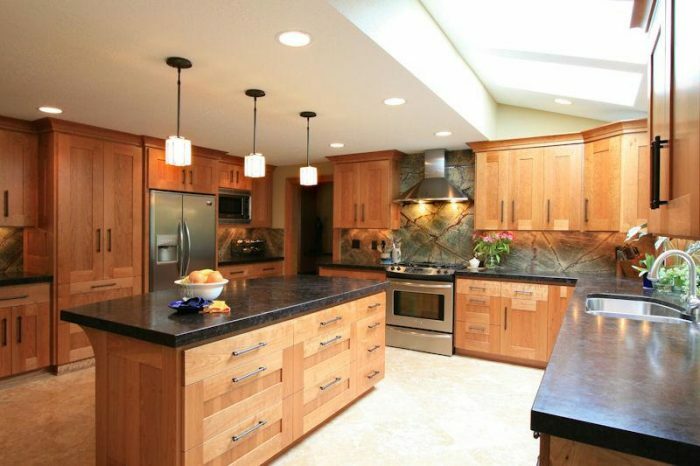 Contact us to get started on your next remodeling project in Dallas, Oregon!